Here is 33'' 2 dr and 3'' lift. 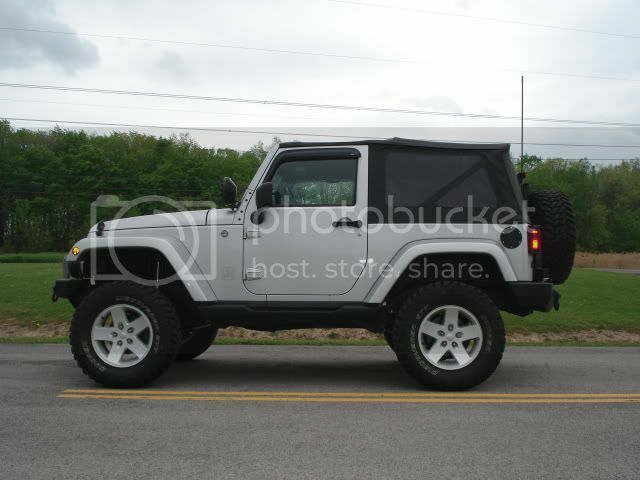 33 x 12.5 x 17" Coopers on stock Sahara rims. TeraFlex 3" coil lift & flexarms. 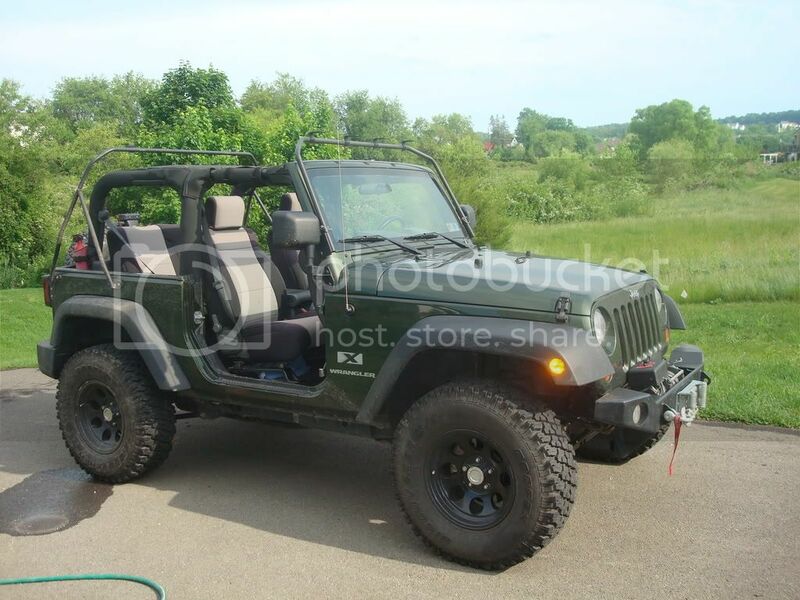 Those arnt stock Sahara wheels... 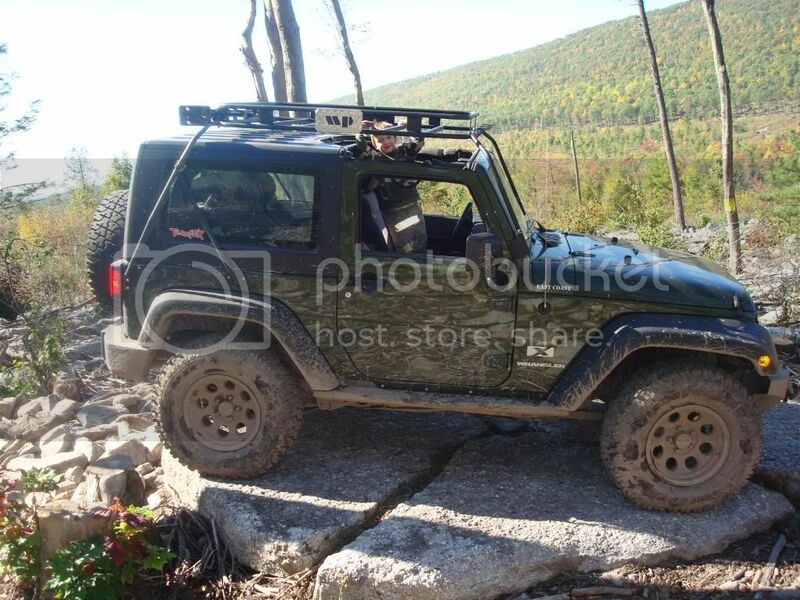 Either Rubicon or "X" depending on finish. They changed them in i think '08 to the 18's as standard. Last edited by HappyCurmudgeon; 05-20-2009 at 08:38 AM. I know there are more of you with this setup.